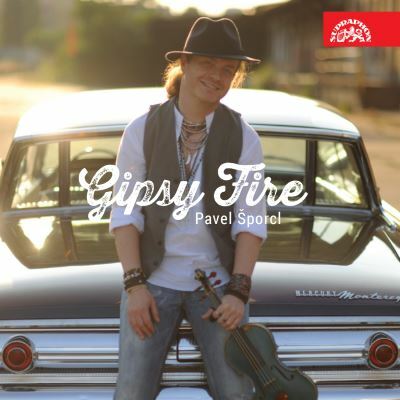 Over 20,000 discs sold, more than 220 concerts at home and abroad (including in France and China), two extensive tours... Those are just a few examples of the successes gained by the Gipsy Way project in the wake of the 2008 album Pavel porcl recorded with his Gipsy band. Six years down the line, in tandem with Supraphon, the violinist held two concerts at Pragues legendary Domovina Studio, whose fruit is a new CD, Gipsy Fire. Stepping into the same river twice? Well, yes and no. On the new release a succession of technically challenging Gipsy repertoire pieces are blended with catchy and melancholic film melodies (Grand blond avec une chaussure noire and Fiddler on the Roof, and a theme Pavel recorded for the Czech movie Divided We Fall), and Piazzollas beautiful breathtaking prayer Ave Maria. Pavel and the Gipsy Way Ensemble play as if their very lives depended on it and the audiences frenzied response would indicate that they dont want the music to ever stop. Well, thats not a problem with a CD. Gipsy Fire a geyser of unbridled energy and engrossing virtuosity, a stroke of pure beauty.